YMCA Indoor Sports Competitions offer Junior and Senior competitions with great facilities, professional referees and online draws, results and fixtures at Y Centres across NSW. Put a team together or sign up individually and enjoy a social way of keeping fit and healthy in a safe sporting environment. Where else would you play the sport that the YMCA invented but at the Y? Many of our centres offer this fast-moving sport. We have men’s, women’s, mixed and age comps, coaching programs and indoor court hire. Basketball will keep you fit and you’ll have a lot of fun in the process. 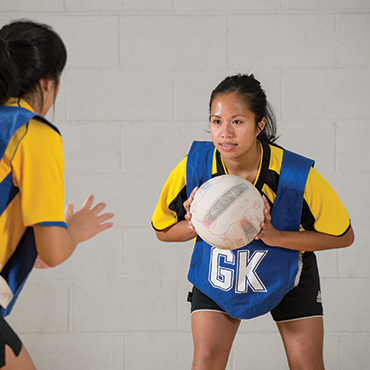 Among the most popular of our team sports, indoor netball is a fast, skilful game and a great way to get fit and make new friends. It’s a popular choice for outdoor netballers wishing to maintain their fitness during the off-season, and being indoors, it’s weather-proof. 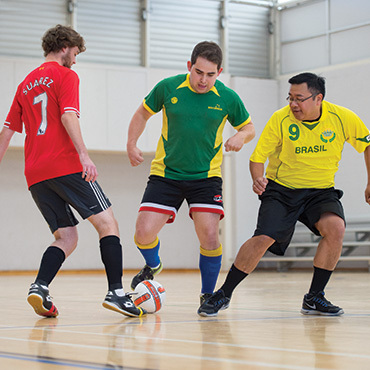 Whatever the weather, your local indoor soccer/futsal pitch is always perfect come game time at the Y. Sociable competitions for women, men and mixed teams are organised by the Y and are the ideal way to enhance your skills and fitness for your own satisfaction or ready for the outdoor season. 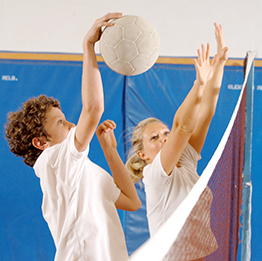 Other sports on offer include: touch, volleyball, badminton, table tennis, dodge ball, some outdoor sports and much more. 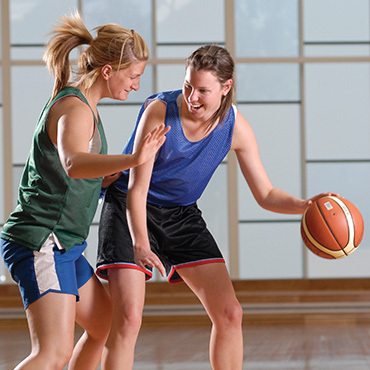 Contact your local Y to find out what sports are on offer near you.